Wyoming Landlord Forms are essential to the very nature of conducting your day-to-day business as a landlord. This is true whether you are landlord of two or two-hundred Wyoming rental properties. 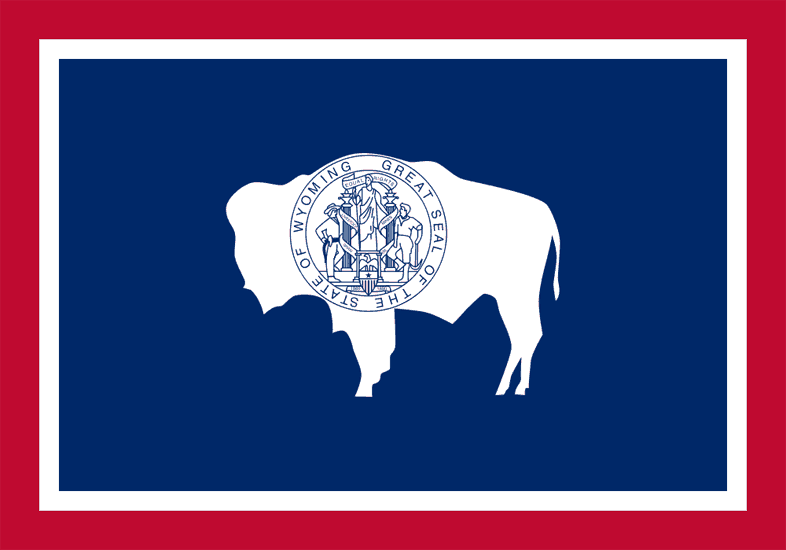 Wyoming landlord-tenant law statutes require specific duties of landlords, not just tenants, so you want to ensure that you comply with all the Wyoming Article 12 – Residential Rental Property Statutes. Complying with the statutes not only ensures your compliance with landlord tenant law, it protects your investment in your rental properties. Getting all your Wyoming landlord forms from the American Apartment Owners Association also serves to help protect your investment in your Wyoming rental properties. Landlords often require a security deposit from tenants prior to moving in. The Rental Deposit Form details the amount of required deposit from each tenant of your Wyoming rental properties. The most important document to every tenancy is the Residential Lease. The lease explains all the terms of the lease as well as the duties and responsibilities of each of the parties to the lease. If you attempt to create your own vague residential lease document, you run the risk that it does not comply with Wyoming landlord tenant laws. Additionally, you want forms that look professionally created such as all the AAOA Wyoming landlord forms created by attorneys and other industry experts. Sometimes an addendum to the lease is necessary, so long as it does not drastically change the original terms of the lease. Perhaps there are new parking rules or maybe you decided that tenants could now have pets. Maybe you want to place restrictions on the type or size of pets that tenants can have. The Addendum to Rental Agreement allows you to formally notify tenants of the changes. Landlords may have to enter a property to perform repairs or to make upgrades or improvements to the premises. Properly notify your tenant in writing of your intent to enter the property with the Notice of Entry, which gives the tenant notice in advance that you need to enter the premises and why. The Move In/Move Out checklist is crucial to every tenancy. Wyoming protects landlords very well against tenants who cause damage to the premises and when guests of the tenant cause damage to the property. The move in/move out checklist gives you potential proof should you need to file a claim to recover costs related to damages that are the fault of the tenant. In fact, a landlord of Wyoming rental properties may refuse to make repairs that are the result of damages caused by tenants. Landlords can even terminate the tenancy, depending on the potential cost of repairs. If you can prove the condition of the premises at the time the tenant moved in, it could likely provide the advantage you need in court. At the beginning of the tenancy the landlord and tenant each go through the property, making note of any damage or need for repairs. The tenant and landlord both sign, agreeing to the condition of the property. The procedure is repeated at the termination of the tenancy. The move out checklist potentially gives you the necessary advantage when you withhold part or all of the security deposit for damages not due to normal wear and tear or for unpaid rent. The Disposition of Security Deposit provides documentation of the return of the security deposit upon termination of the tenancy, minus any cost of repairs and unpaid rent. The landlord sends this form to the tenant along with the remainder of the security deposit after the tenant moves out. Tenants do not always comply with the terms of the lease after moving in, even if paying rent is not the issue. When you discover that a tenant allowed another adult to move in, disrupts the peaceful enjoyment of other tenants or commits another violation, the Notice to Perform or Quit demands that the tenant cures the violation or vacate the premises. Notify your tenant that rent is past due with the Past Due Rent notice, an essential part of your Wyoming landlord forms. The Pay Rent or Quit demands that a tenant pay past due rent or move out while the Notice of Termination of Tenancy notifies the tenant that the tenancy is terminated within a stated period. These and other Wyoming landlord forms give you the right form right when you need it. Save time and expensive attorney fees when you trust AAOA for your lease and all your Wyoming landlord forms. The American Apartment Owners Association provides landlord forms nationwide. Looking for a state other than Wyoming?